The preferred pricing for the Lifeguard wetsuits is exclusive to Surf Life Saving New Zealand and our members, and is currently $135.00+GST. 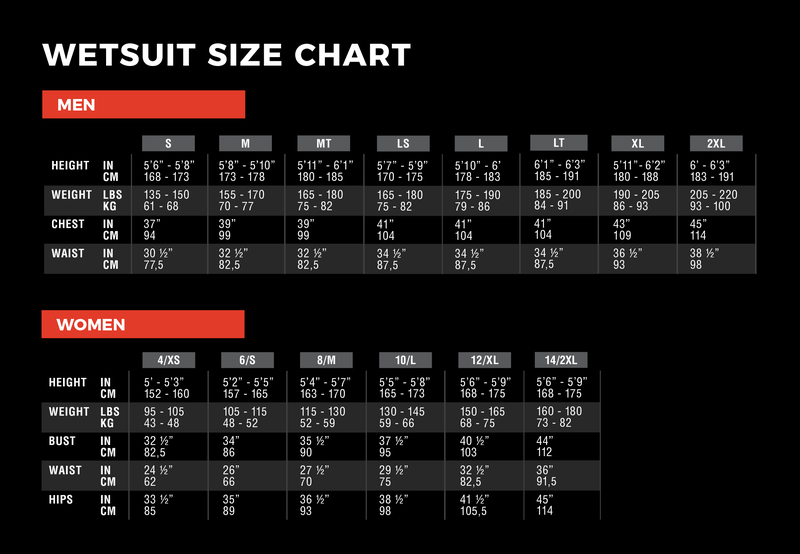 For available sizes and for the sizing chart please view the XCEL Wetsuit Size Chart. It is important to check your size accurately against all measures (height, weight, chest and waist), and select the size that suits you closest to all of these measures for you. These wetsuits are made to order and no stock is kept so there will be no opportunity for a replacement for wrong sizing. All orders are to be made via your club administrator by 4.00pm, Friday April 19. Download the order form here.